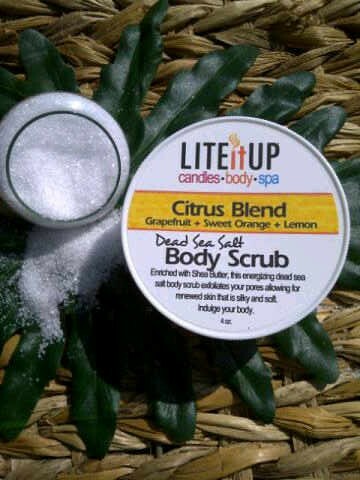 CITRUS DEAD SEA SALT BODY SCRUB - 4oz - Lite It Up Corp. Body Scrubs are an excellent way to paper yourself. They remove dead skin making room for new skin that is silky and soft. Indulge your body and let your senses come alive!